The Mix: ThistleRadio's 100 Essential Celtic Songs Discover the 100 songs The Thistle & Shamrock host Fiona Ritchie considers the bedrock of any Celtic music collection. 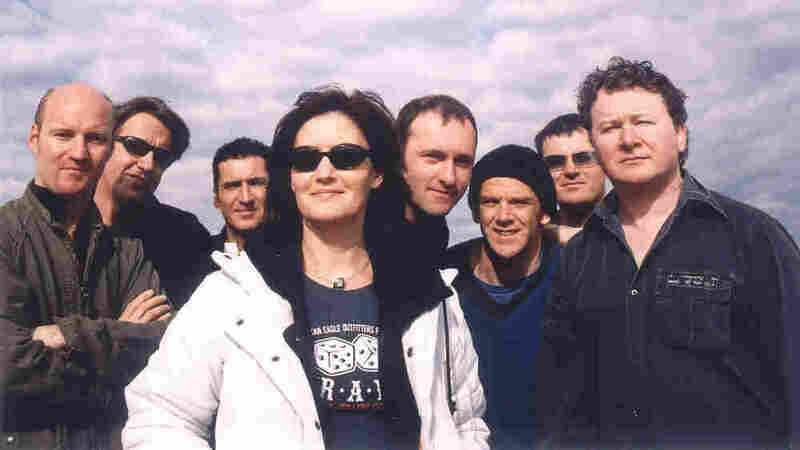 Scottish folk band Capercaillie is featured twice on Fiona Ritchie's list of essential Celtic songs. During almost 30 years hosting The Thistle & Shamrock, I've been privileged to hear thousands of albums recorded on everything from vinyl to MP3. For my list of 100 Essential Celtic Songs, I hand-picked songs and instrumentals by passionate performers from across the decades who helped define the sound of my radio shows. If you're new to Celtic roots music, ThistleRadio is the perfect place to discover the heart and soul of a dazzling traditional and contemporary art form, as we're always adding new tracks. Alan Stivell, "Suite Des Montagnes"
Alasdair Fraser & Paul Machlis, "The Banks Of Spey/Brenda Stubbert's Reel"
Alasdair Fraser's Skyedance, "Harris Dance"
Antonio Breschi, "The Maid OF Coolmore"
Arcady, "Trois Matelots Du Port-De-Brest"
Archie Fisher, "All That You Ask Me"
Battlefield Band, "The Presbyterian Hornpipe / The Watchmaker's Daughter / The Hurricane"
Bill Whelan, "Timedance 92 - The Ballyman Regatta"
Billy Jackson, "Molendinar, The Spring"
Boys Of The Lough, "Once I Loved"
Capercaillie, "Cockerel In The Creel"
Cara Dillon, "Here's A Health"
Carlos Nunez, "O Cabalo Azul"
Cathie Ryan, "Ta Se Na La"
Cherish The Ladies, "Fair And Tender Ladies"
Chris Wood, Eliza Carthy, Martin Carthy and The Young Coppers with Trans-Global Underground, "Cold Haily Rainy Night"
Clannad, "Caide Sin Don Te Sin?" Dan Ar Braz, "Evit Ar Braz"
Deiseal, "The Long (Long) Note"
Dougie MacLean, "Feel So Near"
Eileen Ivers, "Dear Irish Boy"
Frankie Kennedy & Mairead Ni Mhaonaigh, "M'eilti Cheann Dubhrann (Fonn Mall) / Cloch Na Caithre Mhile (Ríl)"
Jean Redpath, "Mill O' Tifty's Annie (Child 233)"
Jerry Douglas, Russ Barenberg & Edgar Meyer, "The Earl Of Hyndford & Open The Present"
Jim Malcolm, "Jimmy's Gone To Flanders"
John Doyle, "The Glad Eye/The Journeyman/THe Wayward Son"
Johnny Cunningham, "Waulkin O' The Fauld"
Julie Fowlis, "Rugadh Mi 'n Teis Meadhan Na Mara"
Karan Casey, "She Is Like The Swallow"
Kate Rusby, "The Wild Goose"
Kathryn Tickell, "Our Kate/The Welcome Home"
Kevin Burke & Micheal O Domhnaill, "Breton Gavottes"
Kim Robertson, "Crossing The Bridge"
Liam O'Flynn, "Farewell To Govan"
Liz Carroll, "Sevens/Michael Kennedy's/The Cup Of Tea"
Mae McKenna, "Laoidh Chaluim Chille"
Maggie MacInnes, "Two Waulking Songs: Tha Mulad, Tha Fadachd, Tha Cnamh Orm / Chuala mi'n de"
Maighread Ni Dhomhnaill, "Amhran Pheadar Breathnach"
Martyn Bennett, "Tongues Of Kali"
Mary Black, "Paddy's Lamentation/Ships Are Sailing"
Matt Molloy, "Air: The Parting Of Friends, Slip Jig, Reel: Paddy Ryan's Dream"
Maura O'Connell, "The Water Is Wide"
Mhairi Hall & Patsy Reid, "The World's Gone Over Me Now"
Milladoiro, "Maneo Da Ulla - Foliada De Padrenda"
Moving Hearts, "The Titanic: An Irishman In Brittany; A Breton In Paris"
Niamh Parson, "Man Of Arran"
Nollaig Casey & Arty McGlynn, "Caoineadh Eoghain Ruadh"
Nollaig Casey & Arty McGlynn, "E Minor Reel/Lads Of Laois"
Paul Brady, "Mary and the Soldier"
Pauline Scanlon, "Rain and Snow"
Pierre Bensusan, "De Trilport/A Fublaines"
Robin Huw Bowen, "David Of The White Rock / The Baron's Barn"
Seamus Egan, "Masons Apron/My Love Is In America"
Sharon Shannon & Friends, "Libertango"
Soig Siberil, "Abril/O Maio/Xota de Ourense"
Tabache, "Waves Of Rush/ The Duke Of Fife's Welcome To Deeside/ Touching Cloth"
The Black Family, "Will Ye Gang, Love"
The Chieftains, "Brian Boru March"
The Colour Of Memory, "An Emotional Fish"
The Easy Club, "The North Sea Chinaman, The Linguist"
The Poozies, "Willie's Old Trousers/The Whole Thing"
The Sult House Band featuring John McSherry, "Sult Theme"
The Tannahill Weavers, "The American Stranger"
Tim O'Brien, "Ireland's Green Shore"
Tony McManus, "The Maid Behind Mcglinchey's Bar/Frankie Gavin's"
Touchstone, "Bolen's Fancy/Dunmore Lasses/The Maid Behind The Bar/The Glass of Beer"